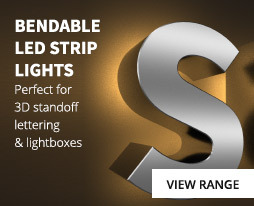 Our range of professional grade ProFlex products are designed for use in the installations industry where a bright, reliable flexible lighting solution is required. This Warm White IP67 rated ProFlex emits a much warmer light for use in lounge areas etc. It is manufactured using high quality components and we confidently offer a 3 year warranty. Warm White ProFlex (2,700 - 3,000K) is part of our wide range of professional grade flexible LED lighting products in a variety of warm white colour temperatures. The warm white range produces a bright but more relaxing white light, suitable for use in hotel lounges, restaurants, relax areas and other projects where a warm relaxing ambience is required. With an IP67 rated silicon coating, it can also be installed in wet or damp environments such as swimming pools, kitchens or bathrooms and therefore it is an ideal product for both indoor and outdoor projects. ProFlex can also be fitted into our range of aluminium extrusions. Simply connect ProFlex to a suitable 24v driver to achieve a consistent band of light and if more control is required, it is fully dimmable and compatible with our range of dimmable 24v drivers. 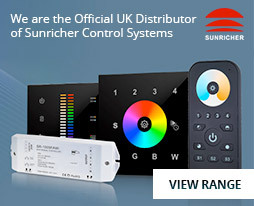 In addition, full remote dimming can be achieved with our RF remote controllers and we can supply a DMX 512 decoder for use with DMX control systems.